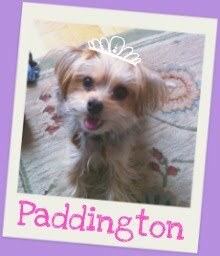 Barkzilla: A Savvy NYC Dog Blog: Martha Stewart Pets is Here! It's no secret: the Barkistas have a weakness for cuteness, and lately we can't get enough of the Martha Stewart Pets line. Launched this summer exclusively at PetSmart, the collection features more than 100 goodies to groom, feed, and spoil your lucky pup. What caught our eye first? 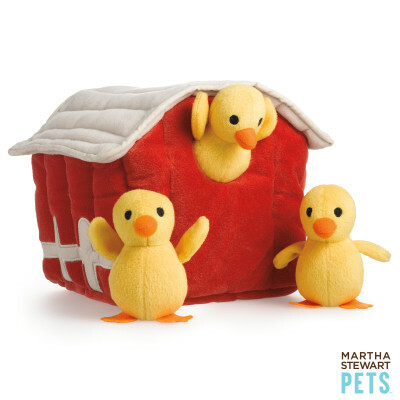 The Martha Stewart Pets Chicken Coop, of course! Designed to appeal to your pooch's curious side, it includes three little plush chickies to hide inside. While we're not sure it'll improve Paddy's intelligence (... sorry P! ), we think she'd have a ball figuring out how to get those chicks out of the hen house.... and eating them (seriously). Actually, as we haven't had a chance to check out this toy in person, we're quite curious as to how it would stand up to Paddy's jaws o' destruction, especially as we couldn't find any information about whether the seams are double stitched. The Chicken Coop is available now at your local PetSmart and online for $14.99. Have you had a chance to check out the Martha Stewart Pets line in person? We'd love to hear your thoughts! Stay tuned for more of our picks!